Welcome to Thai Rice Berry. This is a new variety of healthy rice that has been developed in Thailand. 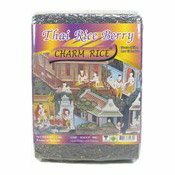 Thai Rice Berry is a crossbred or two high quality strains of rice which are Jasmine rice (Jasmine 105) and Black Fragrant (Hom Nil). This very tasty rice has become popular for its health benefits because of the high levels of rice bran and rice bran oil. High in antioxidant levels Thai Rice Berry has many benefits for both patients and healthy individuals and when combined with a healthy diet offers carbohydrates with benefits. High in minerals and we a low G.I. component, Thai Rice Berry products can be used in risotto and other combines rice dishes. Electric Rice Cooker: Add 1 cup of Thai Rice Berry Rice and rinse. Add 2 cups of water. Cover rice cooker and turn it on. When cooked, fluff and leave it for 15 minutes. Serve and enjoy. 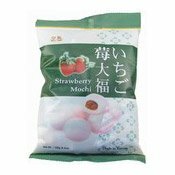 Ingredients: Thai Rice Berry Rice (100%). Simply enter your details below and we will send you an e-mail when “Thai Rice Berry Rice (泰國紫米)” is back in stock!